Arsenal's star midfielder Aaron Ramsey is set to join Italian champions Juventus after his contract runs out with Arsenal till the end of the current season. 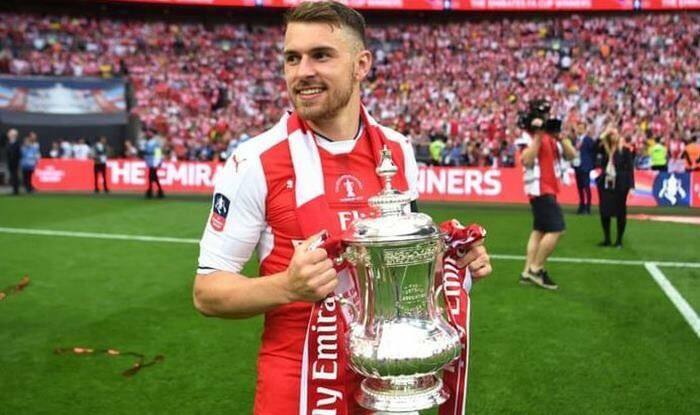 Arsenal’s star midfielder Aaron Ramsey is set to join Italian champions Juventus when his contract runs out with the Premier league club after the end of the current season. The Welsh international will be playing alongside the likes of Cristiano Ronaldo, Paolo Dybala, Miralem Pjanic and Giorgio Chiellini. Juventus are very good in securing transfer deals for free (when a player’s contract runs out with the parent club, the Serie A club has previously signed several world class players for free – Dani Alves, Emre Can, Andrea Pirlo, Sami Khedira and Paul Pogba on pre-contract deals in the last few years. The best deal in that lot was signing Pogba on a free transfer from Manchester United and selling him back after a few years for 100 million euros to the same club. Despite the fact that Juventus are securing Ramsey’s signing on a free, he hasn’t come cheap. The midfielder will be earning a staggering £20.8m per year (£400k per week) – which will make him the highest paid British player in the history. Ramsey will also become the third Welsh player to play for Juventus, after Liverpool legend Ian Rush and John Charles. Both Ramsey and Juventus released their statement on the transfer. The footballer stated that he will be leaving Arsenal with a heavy heart but awaits a new journey in Turin – Juventus FC’s home.